The Federal Civil Service Commission recruitment portal was open few days ago for interested applicants who wants to serve in the Civil Service apply for the advertise positions and join the service. However, since the opening of the recruitment portal on 07 December 2017 applicant have been having difficulties in registering and receiving of verification email to enable them proceed with their applications. In fact a lot of new email accounts will be created during this registrations period due to email rejection Issues on the portal, Nevertheless some applicants were able to apply successfully and others are still finding it difficult to register. My understanding on how the recruitment portal works is that for you to register successfully, you must avoid using mobile phone to register instead use strong browser like google chrome on laptop or desktop computer. Some feature will not appear on mobile phone even though the FCSC portal website functionality was optimize for easy access by applicant but the site is still under strong security protection that is why a lot of applicant are having problem to register. Click on Register an Account to start filling in your information on the box provided and Click Register. You will receive either of this popup reply “your registration is successful”, check your email inbox to activate your registration or this email have already register. Check your email box to activate the email sent to you, if you didn’t receive any email don’t panic wait for some hours and keep checking your email inbox and spam. When you finally receive the activation email in your inbox click on it, it will lead you to FCSC Recruitment login page, login with your Username which is the email you register with and password. When you successfully login, check for the available position you want to apply for and click on apply button it will take you to the next page to start filling your information. There are 18 form pages which you will have to fill. Note: while filling your form on the recruitment portal there will be some huddles like LGA not displaying or date box not functioning try this strategies: When you click on state origin wait a little before clicking on the LGA box or click on another state origin and check the LGA then try to fill in your own state origin the LGA will show. For those who are finding it difficult to Register don’t give up keep trying it will sure get through. please Sir, i want to Register the first stage of creating account and is writing Registration Disabled , please Sir am eagerly interest to apply for the job, please i need your support to register thank you. please I will like to apply for this job hop is not too late. Pls sir/Ma, I have been trying to view my application so I can edit it but is wiped out. What should I do? Thank you. dear sir/ma, i am an ND holder and i can see i do not have some requirements can i also apply pls. your responds as soon as possible sir, so i can quick fill in before is too late. I have registered but I have not receive any message on my email to enable me to continue. I shall be looking forward for your favourable consideration. pls some one should advice me. i tried filling the form but i noticed that i dont have some requirements so i saved it to continue nxt time but to found out the the form has been submitted like that. 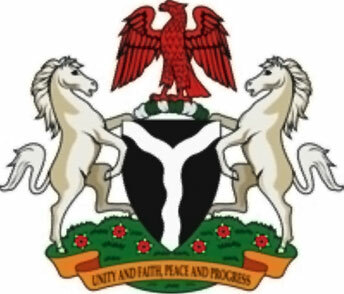 Pls what is the date format in the ongoing federal civil service commission online application. I’m having issues passing that stage. Good morning sir/ma, I have succeeded in filling my form from page 2-18 but am having issues with page 1. I can’t type the vacancy and the code of the vacancy am applying for. What do i do please?. please i need to know the next step cause i have filled the form to step 18 but was not given any confirmation message if my application was successful, secondly if i check MY PORTAL to view MY APPLICATION in order to edit,it shows NOT FOUND.please which way forward!!! Remember we were asked not to apply twice for the same vacancy to avoid disqualification. Sir/Madam, I registered my E-mail but I am yet to receive your link to take me to form. It is taking too long, please help me I don’t want to miss this opportunity. I graduated from Polytechnic long time ago. At step 4 the draft refuse to be save and if I click next, the previous information is wiped out. I have used different browsers and different gadgets ranging from laptop to palmtop. I have been trying for the past one week a ND could not proceed beyond step 3of 18. I have tried more than 50 times no progress. The latest challenge I have now is that it print me to submit at step 3. So no provision for next. Can someone give me an Idea of what to do, please. hello am trying to register and the reply i get is that my email ddress is alredy registered,wat do i do to proceed with d application.